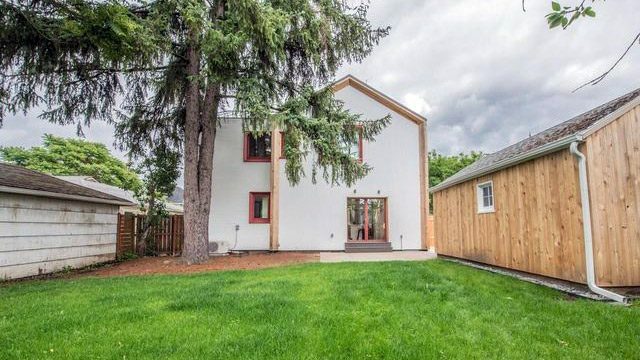 Portland, OR, land of the eco-conscious hipsters spoofed in “Portlandia,” has one-upped itself: This energy-efficient “passive house” is on the market for $699,000. 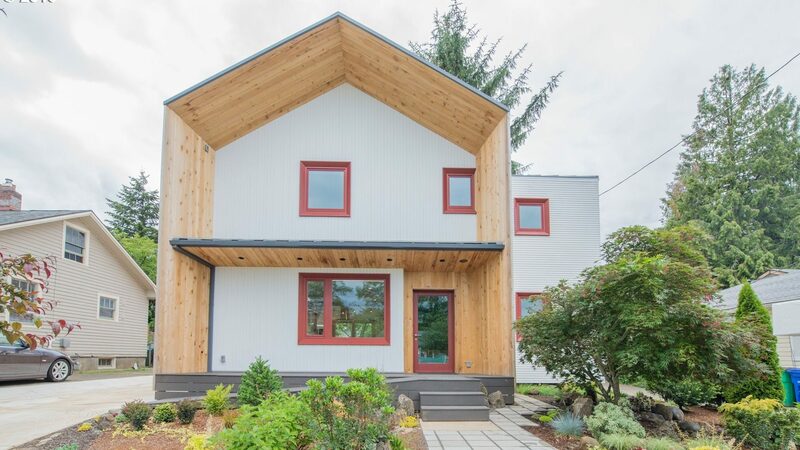 The 1,800-square-foot, three-bedroom, three-bathroom home was built by architect (and owner) Scott Kosmecki of Hinge Build Group, who would like passive houses to “become more well-known and desired and see the market develop,” says listing agent David Todd. The market seems to be off to a good start: Todd says he already has two offers on the listing. The walls are a whopping 16 inches thick and the roof is 24 inches thick, so “the insulation value is more than double,” Todd says. Electric bills are cut in half, if not more, and there’s no gas bill. The home’s construction, which began last year, was completed within the past two weeks. 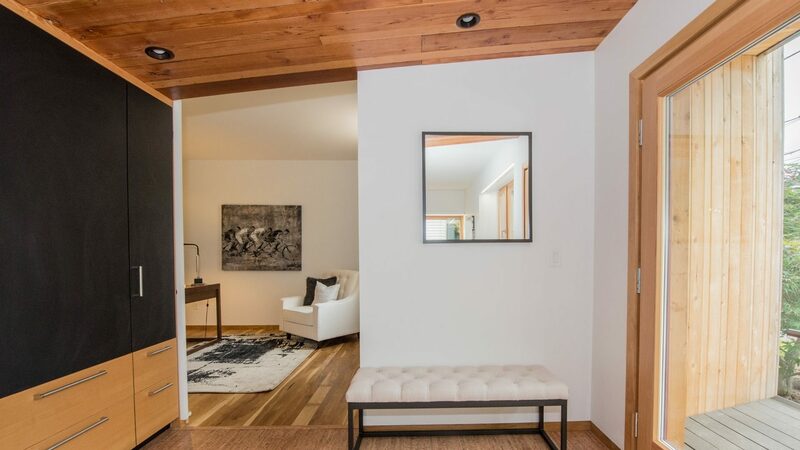 Built on the site of a former 1949 Cape Cod–style home, the original structure was carefully dismantled “board by board,” so the Douglas fir wood could be reused in the new home. 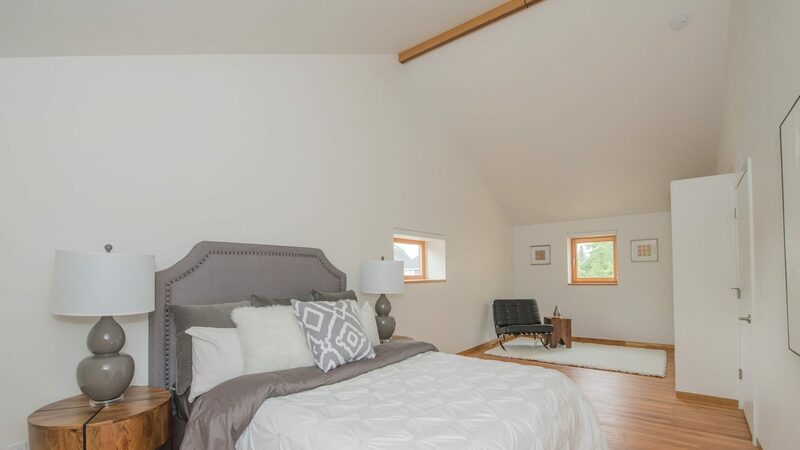 The design of this home is quite unique. For example, the exterior edge extends beyond the frame of the home. This was done to highlight the thick walls, Todd notes. 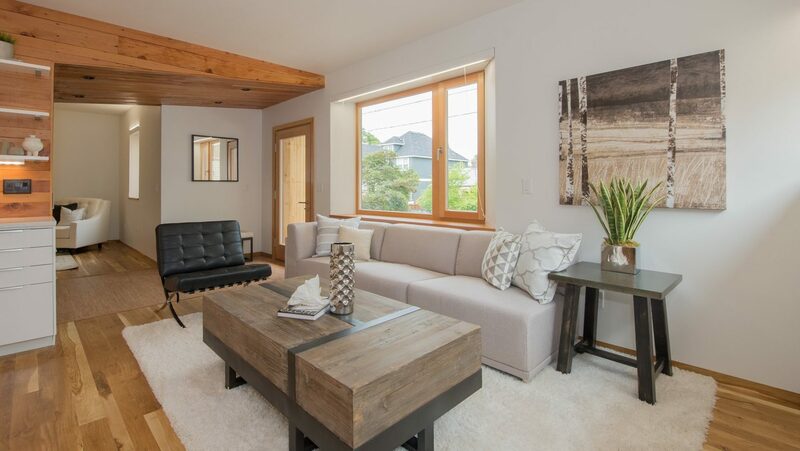 Inside, window placement brings in as much natural light as possible from the often gray skies of the city. 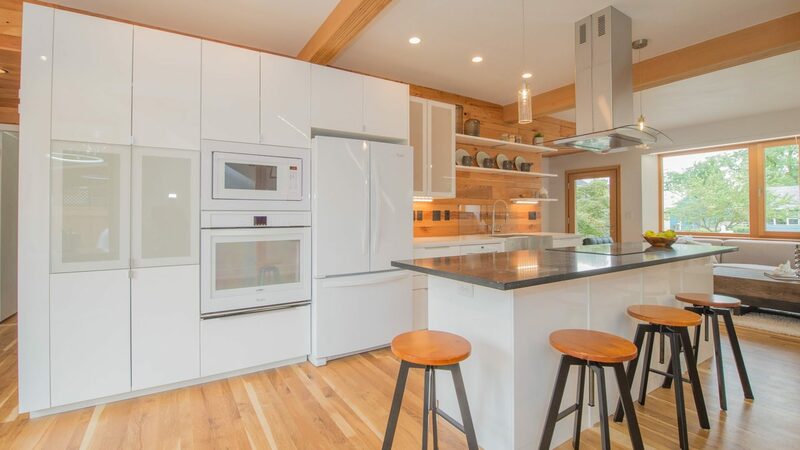 Other architectural details include locally sourced white oak flooring, a built-in cabinet with chalkboard doors, quartz counters and prefab cabinets in the kitchen, and custom cabinetry in the bathrooms. The northeast Portland neighborhood is also a draw because of its proximity to picturesque Alberta Park. In short, this home allows you to enjoy all the perks of living in a cool new home with none of the big bills—or any of the guilt. The Barry & Diane Evans Team – Top Notch – They were very easy to work with and very responsive and offered excellent advice. They made selling property (while we live in another state) very easy! © 2019 Chattanooga Association of REALTORS®. INFORMATION DEEMED RELIABLE BUT NOT GUARANTEED. The site does not contain all listings available through the MLS. Keller Williams Realty | Barry and Diane Evans - The Evans Group does not display the entire MLS of Chattanooga, Inc. database on this website. The listings of some real estate brokerage firms have been excluded. IDX information is provided exclusively for consumers' personal, non-commercial use and may not be used for any purpose other than to identify prospective properties consumers may be interested in purchasing. Data is deemed reliable but is not guaranteed accurate by the MLS or Keller Williams Realty | Barry and Diane Evans - The Evans Group. This site was last updated on 2019-04-24T12:08:44.88.